Your health and safety is important to us. Please contact us before scheduling a class if you’ve had a recent injury, surgery, or are pregnant. To ensure our clients get everything we promise we limit our equipment classes to 4 people and our mat classes to 10. We are able to modify and adjust for each client. When a 1:4 or 1:10 ratio is still too large for your needs, we work one on one until small group classes are the right fit. ALL STUDENTS ARE REQUIRED TO SIGN A WAIVER PRIOR TO YOUR FIRST CLASS/SESSION. Wear comfortable workout clothes that allow for flexibility and movement. Long necklaces and dangling jewelry is discouraged, as it may catch on the equipment. Bring a water bottle and get ready to move! Please be respectful of the other students and your instructor. Use of cell phones is not permitted during class. Due to our small class size, we require reservations be booked at least 24-hours in advance. NEW STUDENTS: Please arrive 10 minutes before the scheduled class start time for a brief orientation. If you do NOT ARRIVE within 5 minutes of the class start time, your spot may be given away to someone on the Waitlist. YOU WILL BE CHARGED FOR THE CLASS. Session Payment: All sessions must be fully paid prior to commencing training. All classes must be pre-paid through our online scheduling program. A valid credit card is required for all accounts. 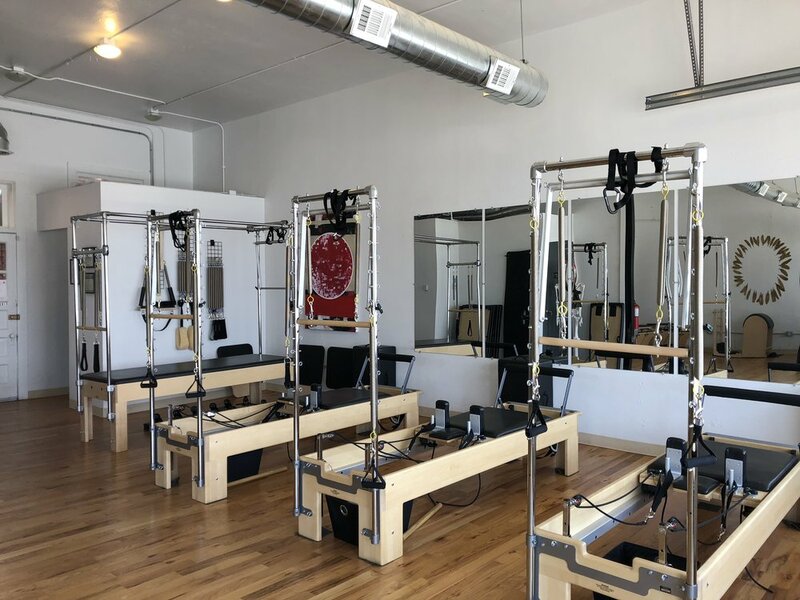 24 Hour Cancelation Policy/Rescheduling: TerraFly Pilates enforces a strict 24 hour cancellation policy. If you fail to cancel your session/class more than 24 hours prior to your class/session you will be charged the full amount of that class/session. Tardiness: If you arrive late, the class/session will NOT be extended and will finish at the scheduled time.